When veteran writer/producer John Wirth took over as showrunner on AMC’s Hell on Wheels, it was a somewhat strangely public process. 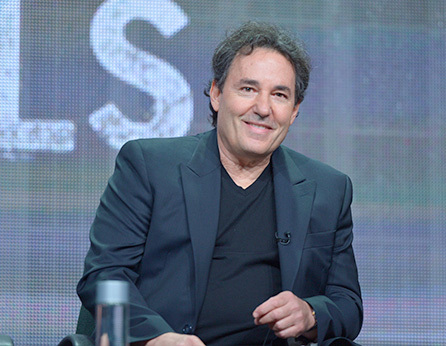 John Shiban, the showrunner for the show’s first two seasons, backed out unexpectedly after the series was renewed, leading AMC to make the series’ pickup contingent on finding a new showrunner. With series creators Joe and Tony Gayton departing as well, Wirth stepped into a series with established characters, existing storylines, and more or less complete creative freedom to take the show in whatever direction he desired. That direction has made the show a strange sort of success story for AMC, shuffled off to the prestige-less refuge of Saturday nights where it’s been quietly outperforming expectations (see Kate Aurthur’s report at Buzzfeed for more). It concludes its third season tonight at 9/8c on AMC with the expectation that it has earned a fourth season, and having successfully transitioned from a slightly underperforming prestige AMC drama to a successful translation of their film western audience into original programming on a normally dead night. At July’s TCA Press Tour before the season premiered, I had a chance to talk to Wirth about his perspective on showrunning, how he came to be involved with Hell on Wheels, his planned use of social media (which I’ll be reflecting on soon elsewhere), and how—despite the strange circumstances—Hell On Wheels marks a meaningful period in his career as a showrunner-for-hire. This is far from your first time serving as showrunner on a series; in fact, the Internet suggests you were part of a “Showrunner Training Program” at some point? How do you train someone to be a showrunner? JW: I put together a committee of writer-producer-showrunner types. We did a small book called A Television Writers’ Handbook. And it was the first time in the history of the Writers’ Guild that anybody had codified what it is to work on a TV show and what the various positions are and what’s expected of you when you’re in those positions. And we had a big chapter on showrunners, and how to behave as a showrunner, and so forth. Out of that, Jeff Melvoin—who I had asked to be a part of that committee—had the idea: is this something we could teach? And I didn’t believe that it was, and he believed that it was. He said “I’m going to try to put together this program, will you work on it with me? “And I said sure, but I don’t want to be in charge—this little book we did took five years, and I thought it would take a couple months. We put together the Showrunner Training Program, which has been enormously successful. I still don’t believe you can teach someone to be a showrunner, but you can expose them to the things they’re going to experience when they are showrunners. That’s really the goal of that program, to let people know what it is they’re going to be experiencing when they get that job. The job itself is ridiculous. You’re the hardest working man or woman in show business – the hours are incredible, you have to be a writer/producer and manager, you have to manage up down and sideways, you have to be a priest, you have to be a magician, you have to be a wife – it’s nutty. So why you do you think AMC came to you to fill that job on Hell on Wheels? Mad Men began with a spatial divide. In the series’ pilot, we are introduced to Don Draper in Manhattan but only get the full picture when we follow him onto the train to the suburbs, and to the family life he leaves behind every day he travels into the city. The show was invested in exploring the distinct ebbs and flows of those two spaces, and on Don’s ability to travel between them. While we would come to learn that Don had been living a double life for most of adulthood, initially we watched a man live two lives separated by the train ride between them. The show evolved beyond its urban/suburban divide, adding enough complexity to both Don’s family life and Sterling Cooper as a setting that it would seem reductive to boil the show down to this dichotomy. And yet although Don was no longer traveling to the suburbs since separating from Betty, the spatial divide stuck around thanks to characters like Pete, who began the season in his city apartment that would become his primary residence after he proved less agile in his duplicity than Don was. And as Betty explored the life of young runaways or as Peggy let Abe talk her into living in a nascent neighborhood, New York City was no longer confined to the offices of Sterling Cooper, gaining diversity and perspective as the turmoil of 1968 played out over the course of the season. Mad Men’s sixth season was far from the first time the show has become invested in the meaning of space and place, but “In Care Of” highlights how central the idea of “going somewhere else” has been to this season in particular. For a season that began in the escape of Hawaii, and jetted to Los Angeles and Detroit and to upstate New York in a very tiny plane, it ends with multiple characters imagining what life would be like away from New York. In the process, we can imagine a final season spread across the country, even if we can also picture a season that remains tethered to the Manhattan Mad Men has over time embedded into the fabric of its storytelling. Of the shows I fell behind on earlier this year, The Americans is what I’ve considered my first priority to catch up on, although even that has been a slow process; I just finished “Trust Me,” the sixth episode of the FX series’ acclaimed first season, last night. However, sometimes timing is fortuitous, as I watched it after having watched—and podcast with the folks at the Mad World Podcast—about Mad Men‘s “The Crash,” and I was struck by a shared interest in how the normal manifests within the sensational. Obviously, “Trust Me” isn’t a trippy drug trip, but it nonetheless juxtaposes a form of psychological struggle or torture with scenes of danger that at first manifest as part of the game but eventually appear to be simply a coincidental brush with everyday terror. I was having a conversation with some friends the other night, and we were discussing the character of Paul Kinsey. My colleague Alyx expressed an affection for Paul, but admitted that the character simply wasn’t talented enough to meet his aspirations, directly alluding to the character’s return this season. However, while she was aware of what was happening this season (albeit through reading weekly reviews as opposed to actually watching it), the other friends at the table were at least a season behind, which meant that we didn’t get a chance to continue the conversation. I found myself returning to it watching “The Phantom.” Paul Kinsey got left behind by the narrative, becoming a symbol of the consequences of the development Sterling Cooper Draper Pryce agency and eventually returning as a man chasing dreams of love and fame without the means to achieve either. But while Paul is in a pitiable situation, off to Los Angeles on Harry’s dime with nothing but a terrible Star Trek spec script to his name, are we exactly meant to pity him? Or is our pity instead for Lane Pryce, the man who had the means for success but did everything he could to sabotage it? He’s the man who got swept up in this agency when he could have instead been sent to India, who was given this opportunity to be a name partner long before he could have dreamed, and yet he ends his life a broken man whose choice to hide his shame and suppress his desire to life the live before him results in his end. Is it a greater shame to lose the life you want to lead and aspire to something greater, or to live the life you want to lead while denying yourself the pleasures and thrills that come with it? Of course, it’s hard to avoid the specter of Lane’s death (especially compared to Paul’s futile journey to Los Angeles), and “The Phantom” could in fact refer to his empty chair at the partners meeting (which the camera lingers on). But on a larger level, this season of Mad Men has been (for me) an investigation of those moments that give us a tinge of doubt, those moments that won’t leave our minds except with the help of electroshock therapy, and those moments that make us ask ourselves when our last chance might be. In other words, it’s about the characters treating their own lives like we treat the show they’re a part of: just as we look back to piece things together, to ponder over narrative moments and psychological motivations, so too has Mad Men’s cast of characters taken to viewing their actions as matters of cause and effect. It’s a dangerous game for them to play, and it results in a finale that is not quite subtle in its thematic material. My notes for the episode are filled with lines and details that scream out to be applied to the characters’ storylines as the season comes to an end. After sitting out much of the season, I could easily spend hours poring over those notes and pulling out every thematic thread, but I want to focus on a single question: what does it take for us to be able to turn the present into the past, to forget something or someone? It’s a question that drives much of the season, calling attention to the weight of what happened in a season light on plot but heavy on consequences, and a season that builds rather impressive momentum for a show entering its sixth season.